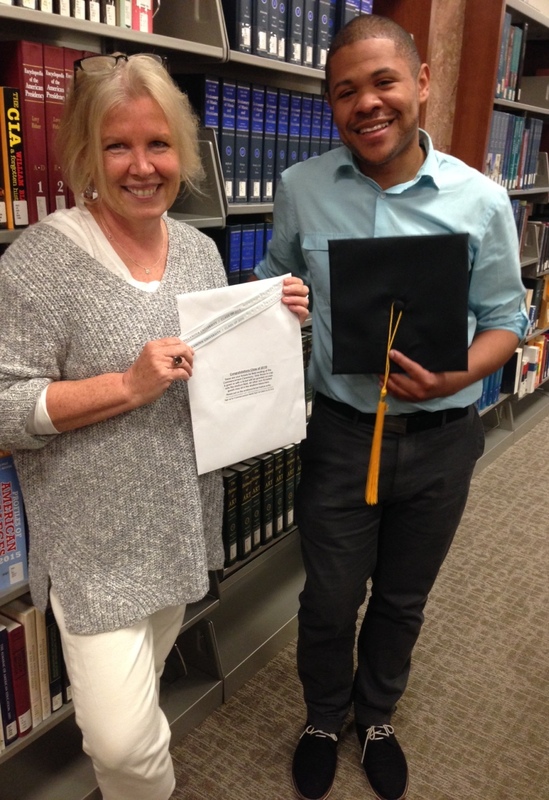 Please join us in honoring two Falvey Memorial Library staff who will be participating in the 2015 Villanova University graduation ceremonies. Joanne Quinn, ’84 CLAS, Communication & Service Promotion team leader, will be receiving a Master of Arts in Communication. Raamaan McBride, Access Services Specialist, received his BA in Business Administration at Temple University in 2010 and will be receiving a Master of Science in Human Resource Development at Villanova this weekend. Congrats to the newly graduated ‘Cats! ‘Caturday post by Luisa Cywinski, writer for the Communication & Service Promotion team and team leader, Access Services.